Just 90 minutes from hypermodern Shanghai lies a town it feels like time forgot: Zhouzhuang. 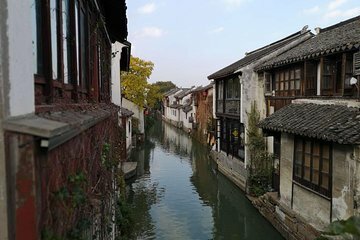 Forget group tour delays and public transport hassles, and experience the courtyards, canals, and bridges of this ancient water town on a private door-to-door tour. Explore the ancient theater, the Double Bridges, the Zhang and Shen houses, and a Taoist temple with your private guide, and enjoy a ride in a traditional gondola.